George and I are excited to be getting the house and garden ready for new and returning guests this spring, summer and fall. With the in-house renovation completed in the Dogwood Room, we now turn to the garden and decks to spruce them all up just for you! Today we power-washed the deck, deck glass and windows. 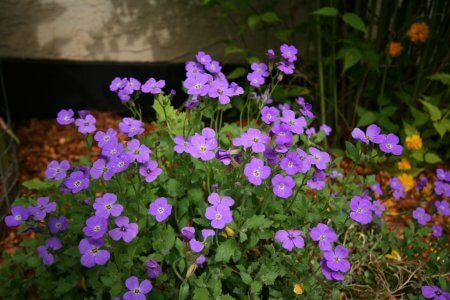 I planted pots of primula and violas. It’s sunny and warm out on the deck, giving us a hint of what’s coming later. Our views of the Lake and valley continue to awe us, as they will you!